A worldwide dinosaur festival is coming to Bute Park in Cardiff City. This August, Bute Park will be changed into an ancient world. The Jurassic Kingdom: Where the Dinosaurs Come To Life, has a brilliant, life-sized imitation experience, where people will see more teeth in a single hour than they will see in the whole life. Hope to encounter a 26m long Diplodocus and the famous Tyrannosaurus Rex, at the same time learning about each predator from more than 200 million years back. Make sure to gaze upward; there will be some in the trees! 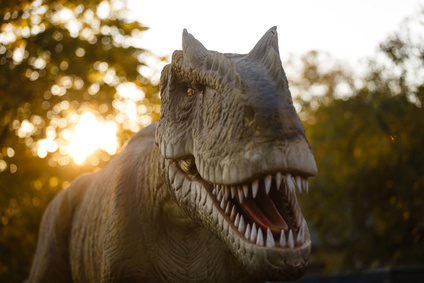 Go and meet more than 30 dinosaurs from Saturday 11 to Monday 27 August, and find them concealing all over the park, allowing kids to encounter the sheer size and size of the dinos. The animals spring up before your eyes, with their eyes, tails, heads, and arms moving and influencing you to hop with their seething roars. With dinosaurs at present being extremely popular, the children of Cardiff will be in wonder of the sensible organization at the Jurassic Kingdom. For the families and school groups to learn everything about how dinosaurs lived, there will be a 30-minute survey encounter delivered by the BBC playing on the large projection screen. The scaled down dinosaur scientists among us will have the capacity to dive for bones in a removal zone. For when the group gets peckish or parched, there will be a crowd of street food and drink sellers to keep their vitality up. Retail will offer a scope of instructive and engaging marked stock so dinosaur-sweethearts can remember their encounter. There is as of now a ticket offer running: a 20% off all tickets when you quote ‘EARLYBIRD’ during check out. To reclaim this offer, go to www.jurassickingdom.uk to buy tickets. To avoid disappointments, book early because tickets are limited! Costs begin from £11.50 for grown-ups, £9.50 for kids, £10.50 concessions, and £38 for a family ticket. Additionally, kids under two go free. The outside experience will be open from Wednesdays to Sundays starting from 10 am till 6 pm with particular entry at 5 pm. While choosing tickets, you will be solicited to select one from the hourly time slots starting from 10 am to 5 pm. When you are inside, visitors can stay for as long as they wish but remember it will close at 6 pm.